LEARN HOW TO USE THE POWER OF UNIVERSAL LIFE FORCE ENERGY NOW. Reiki is an energy healing system that was kept secret for many years and reserved only for the wealthy. I am here to share Reiki with anyone with the desire to learn it to help themselves and others. You might be here because you are have physical or emotional discomfort, or have loved ones who you wish you could help more. You might be looking for more joy in your life and have heard Reiki mentioned as a potential solution by others. You may have a quiet voice inside of you that is telling you that you are a light-worker and you are ready to listen. YOU ARE READY TO CREATE A NEW WAY OF BEING AND LIVING THAT BRINGS YOU MORE LOVE AND LIGHT AND YOU WANT TO KNOW HOW TO DO THAT. Wonderful course by an amazing teacher! Lisa really knows her stuff, and this course is so comprehensive that I don't think it can be beat! Thorough information and discussion of all points. I liked the focus on knowledge with the constant "check against your intuition" advice--very valuable for new Reiki practitioners. I'd previously had attunements to Levels 1 and 2 and still got a ton out of this course. I learned more than I did in my original in-person Reiki classes, and the distance Master attunement was tremendously strong for me. I highly recommend Lisa and this course! I loved this course, Lisa is an excellent teacher, my whole experience was mind-blowing. Typically, comprehensive Reiki Level I, II and Master courses and this level of support would cost thousands of dollars. It is so important to me that anyone can learn Reiki, so I purposefully keep my course fee low so everyone who is ready to learn, can. In the Master Level, you will learn how to teach and perform attunements on others wanting to utilize Reiki for themselves. This course can be used as a way to enhance personal growth and/or work on any imbalances within yourself or those around you. 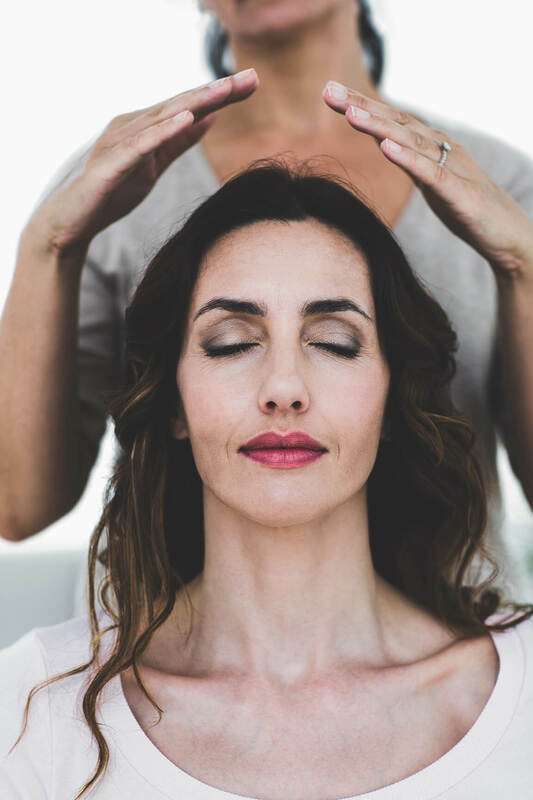 If you are wanting to add Reiki to your current therapy practice or wanting to begin your own Reiki practice, you will benefit highly from this course. Also, if you are wanting to teach Reiki to others, you will have the materials you need to do so once you have completed this course. I just wanted you to know, if you ever wonder if your courses are changing people, they are; and not only me but everyone I touch (literally). I have already had some incredible healing experiences with my friends and family. Thank you Lisa for your course, your guidance and your light. Never did I dream a simple Udemy course would change my life so profoundly. Lisa is a wonderful instructor. The Reiki course she has created is nothing short of life-changing. Her energy is soothing and friendly, and the way she teaches each lesson is very easy to digest, and unintimidating. My life is greatly improved since taking this course, and I can't recommend enough, that you give it a try too. I am so excited about my new life with Reiki. Thanks Lisa! The only prerequisite for this course is that you are open to learning. If you are finding skepticism and doubt are weighing you down, take some time and come back when you are ready. If you are ready to create change in your body, mind and life and are open to letting go of some of the beliefs that brought you to that place, Reiki can help you do that. I belong to a specific faith, can I still work with Reiki? Reiki is not associated with a specific religion and I have worked with students of all faiths who have effectively used the energy for themselves and loved ones. Reiki does not teach any beliefs that would try to interfere with your religion. How are the attunements perfomed? You will choose a specific date and time that is convenient for you and myself and you will relax at that set time. I will connect energetically with you and perform the ceremony. Reiki energy is non-invasive and your body decides how much Reiki it will use and what it will address. The attunements are with you for life and you can then use Reiki whenever you wish. What associations recognize this course? This course is internationally accredited by the International Reiki Organization as well as the National Certification Board for Therapeutic Massage and Bodywork. Is there a deadline that I have to complete this course by? There is no deadline and you can take the time you need. I am here to answer questions as they rise and you can access the course even after you have completed it. You will also have any new information or updates that are added to the course. This course changed my life in wonderful ways! I was drawn to this course with the desire to heal family, friends and pets and this course has given me that ability and more. With it, Reiki has healed me on many levels and given me insight into my own spirituality and to what is possible. The continued contact with Lisa Powers on the Facebook group page as well as input and questions and answers from other students of the course are educational and enlightening and I learn more from every answer Lisa Powers gives. I highly recommend the Reiki Level I, II, and Master Certification course by Lisa Powers.